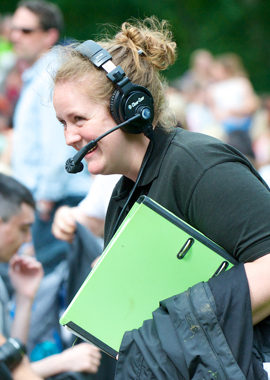 The Wintershall plays are performed to over 35,000 people a year. They were written by Peter Hutley (and originally produced by him) and have been performed since 1989. 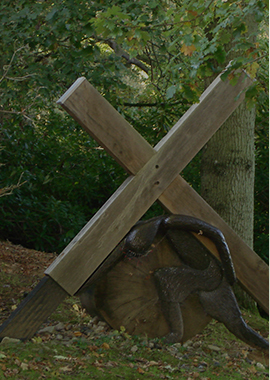 The Life of Christ is performed every June at Wintershall with a cast of over 100, attracting thousands of people, many of them school children. The Nativity is performed at Wintershall in and around Holly Barn attracting over 4,000 visitors each December. It featured on the BBC’s Songs of Praise in 1996 and again in 2004. In 2013, the Nativity was performed in the BBC’s Broadcasting House Piazza in London to critical acclaim. 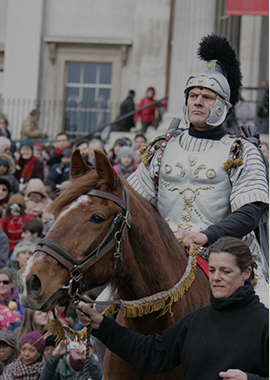 In 2010, Wintershall brought the Passion of Jesus play to Trafalgar Square as a gift to the people of London. This has been performed ever since, with two performances on each Good Friday and an estimated audience of 20,000 each year. On Easter Saturday, there are two further performances in Guildford town centre. In 2011, her Majesty Queen Elizabeth II awarded the Wintershall cast, artistic director and support team the Queen's Award for Voluntary Service. In 2014, Peter Hutley’s daughter, Charlotte de Klee, took over as producer. The plays have been seen by over a quarter of a million people and the concept has travelled to all corners of the world, from Australian parks to Scottish castles and American and Italian prisons. 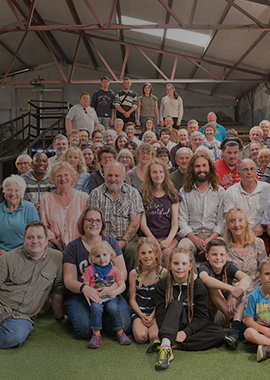 Wintershall’s vision is to see the Passion play performed across the major cities in the UK over Easter 2020. The extraordinary story of the Wintershall productions has its humble beginnings in Medjugorje, Bosnia, visited by Ann Hutley and her daughter Charlotte in the mid-1980s. The visit changed their lives. Peter Hutley joined Ann on a visit in 1989. “I had the deep feeling of the presence of God,” he says. When they returned to Wintershall they were committed to spreading the Christian message. Born in 1926, Peter left school at 15 to work for an estate agent. He joined the army as a teenager in 1944 and left as a Captain four years later. 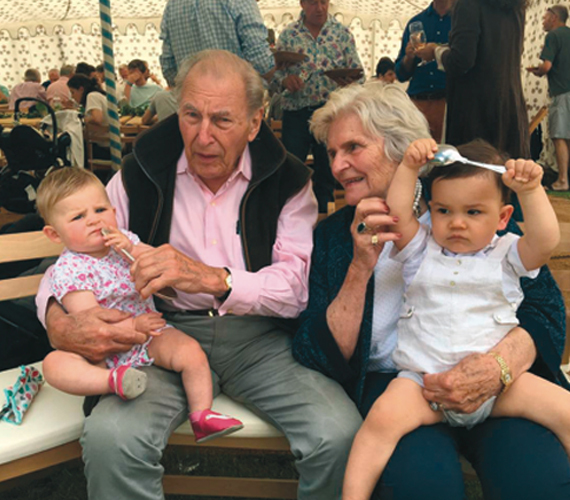 He became a successful property developer and in 1962 Peter and Ann bought Wintershall and their four children grew up in the beautiful 13th century home. In 1989, the family tried to buy the land behind the house with an 18th century barn on it. Peter told his children that if they secured the barn they would use it for God. The auction went their way and a few weeks later the Hutley clan put on their first Nativity. They pushed the cows out of the barn for a night and a handful of people came to see the makeshift production. One of the wise men found himself wearing Ann’s fur hat and their pregnant daughter-in-law sat on a bale of hay with a torch to light the action. “It wasn’t very good,” remembers Peter. But the visitors were delighted and there was an expectation it would be repeated. So it was. “The early days of the Nativity were filled with natural drama, of finding friends willing to sacrifice a busy Christmas weekend with a long walk up a wet and windy hill for rehearsals,” recalls Ann in her book Beloved Grandchildren. Peter wanted to stage a Passion play. It took him two years to write and in 1993, the first variation was staged on the tennis court. After the crucifixion the audience, thinking it was over, would get in their cars to leave and Ann would run after them to explain the best was still to come. In 1999, in response to the Pope’s call to action for the millennium they put on The Life of Christ, an extraordinary 5-hour open air production that had taken Peter over a year of very long hours to write. “I remember Peter saying after the first performance that this is probably why he had been born,” says Ann. The play was created for the millennium but has been performed every year since. In 2004, Peter received an MBE for services to the community and Ann was made a Dame of St Gregory. In 2013, Peter was awarded an OBE for his work in promoting Christian understanding and his charity work. His fundraising for Heart & Stroke Trust Endeavour has led to concerts being held at Wintershall, featuring Eric Clapton, Queen and Ringo Starr (and all opened with prayer).